We appreciate the time you’ve taken to visit this site and find out more about this dental practice, our team, and the many services we can provide to help you achieve optimum oral health. To learn more about a specific doctor at Scott Family Dental please read below. 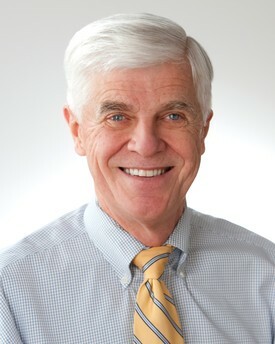 Dr. Robert Scott has been providing dental care for 32 years at his general dental practice in Plum Boro, Pennsylvania. During this time, he has preserved and improved the dental health of people from the surrounding Pittsburgh area with a focus on friendly, comfortable, and gentle dentistry to individuals of all ages. He was born and raised in Penn Hills, Pennsylvania and graduated from Penn Hills High School. He completed his undergraduate studies at West Virginia Wesleyan University where he graduated with a Bachelor of Science in Chemistry. In 1977, he graduated from University of Pittsburgh School of Dental Medicine, where he earned his Doctorate of Dental Medicine (D.M.D.). He furthered his education by completing a one-year residency at Montifore Hospital in Pittsburgh with a special emphasis on oral surgery. Following his residency he worked for a few general dentists in the Pittsburgh area before deciding to open his own dental practice in Plum Boro. In addition to practicing dentistry at Scott Family Dental, he enjoys being a part-time clinic faculty member at the University of Pittsburgh School of Dental Medicine. He is an active member of the East Suburban Seattle Study Club. Dr. Scott enjoys spending time with family & friends, golfing, traveling, and attending Pitt football and basketball games! 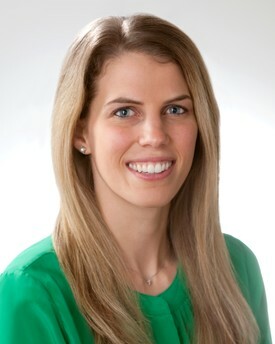 Dr. Jacqueline Scott grew up in Murrysville, Pennsylvania and graduated from Franklin Regional High School in 2004 where was a three sport athlete playing golf, basketball, and lacrosse. She graduated with honors from The Pennsylvania State University in 2008 with her Bachelor of Science in Nutritional Sciences. During her high school and college years she spent a lot of time on the other side of the dental chair as a dental assistant for her father. This confirmed her interest in dentistry as well as her love for helping others especially in maintaining excellent oral health and healthy smiles! She attended The University of Pittsburgh School of Dental Medicine and graduated in May 2012 with her degree as a Doctor of Dental Medicine (D.M.D). She was the 2012 recipient of the Quintennesce Award for Excellence in Restorative Dentistry. Following graduation she completed a one-year general practice residency at the VA Pittsburgh Dental Clinic and received advanced training in multiple aspects of dentistry. She is excited to work alongside her father and looks forward to providing the same great friendly, comfortable, and gentle dental care! She is a member of the American Dental Association and the Academy of General Dentistry. When she isn’t doing dentistry she enjoys spending time with family, friends, traveling, running, golfing, and watching all sports!